Henrik Jönsson is a life-long, international entrepreneur. 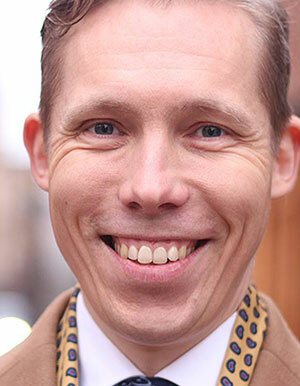 He is the founder of HUNGRIG.se and Divine Robot, and owns the IT-innovation company Tion Group. Henrik has founded more than fifteen companies during his career, in sectors ranging from visual effects to online food delivery logistics. Henrik has experience funding, establishing and running companies in the US, the UK and Scandinavia. He has published two award-winning commercial computer games, of which one hit the number 3 spot in the US App Store with millions of downloads. Henrik is also a published author and lecturer on digital popular culture, entrepreneurship and futurology.